my sister eilish in sammy john russells carters yard in cromac street. beside the well used pawn shop in the fifties. 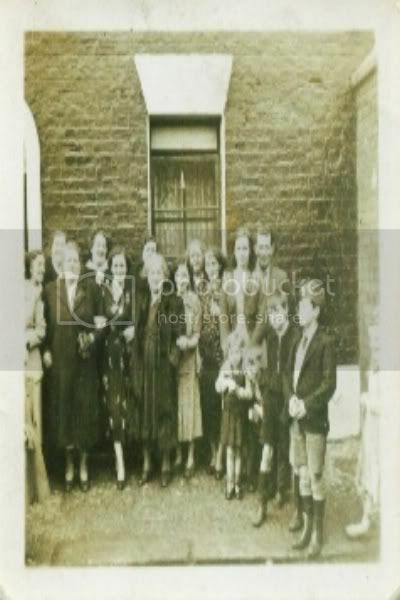 Mum was friendly with your sister Kathleen,we visited Kathleen and Billy up in Donegal Park Avenue.Eilish was living in Joy Street then.Dont remember Russells yard,but its a great photo. I remember Sammy john russels my father worked for him tending the horses also for fords in eliza st and Jackie Bunting who lived in grace st and had stables at the back of laverys pub in bradbury place.As you know the stables ran out at Joy st Then there was the fire Grahams was the name of the pawn . yes. they were brothers and sisters. there were seven kids in joes family. knew him well. his mother was maggie and father tommy known as cokey. did you knoe joe passed away about a year ago. he was my best man at my wedding. ambrose murdochs shop was across the road from ours. we're the turners. we're not releted to ambrose but were good friends. theres photos of both our shops on this page. bring back any memories. where in cromac street did you live. ach ive placed who your mum is now. we had a good holiday together in the ring of kerry. brilliant time. my sister kathleen and peggy brady went, along with all the market people. ive a couple of good photos and a bit of video. great laugh. nice memories of your mum. very fond of her. she always used to talk about having the old gas lamp from outside your front door. she said everytime she looked at it she remembered me as a child with my rope tied to it and swinging round it. have you still got it. Hiya Plucky i was just uploading a photo of the lamp post last night,but had all sorts of problems.anyway no,the lamp post has gone to some where else,Tyrone i think..
We do still have the shop scales,need to get the brasso out to them though. i'm posting a photo of my cousin kathleen who is in the photo. its taken from inside our shop, you will notice the gaswork tanks in the background and that should be your house to the right of the photo. i remember your aunt jinny well, would i be right in thinking that the scotts (marie and josephine) lived with you in your house?? if so i have a photo of marie that i can post. im writing to the fella who was speaking about boot repairs in cromac street, i think the shop was smilies. the boot shop should be one of the shops on the left hand side of cromac street. hope this brings back memories. I was hoping the lampost was still in your family, but id love to see the photo if you could post it, great that youve got the scales, what a lovely keep sake with lots memories of your shop in cromac street. When using the brasso, just think them scales were your bread and butter and all the luxuries you got in life. after all them years them scales have weighed pounds and pounds of foul. im sure they would be worth a few pound haha.